The Pinhouse Playmate: Learning a new skill - A very Victorian pastime! 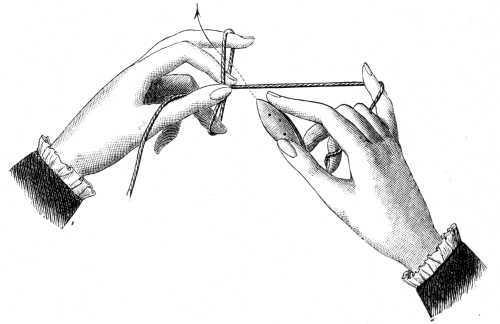 Learning a new skill - A very Victorian pastime! My first week of unemployement has passed, and I am struggling a bit to adjust. I have been quite restless, but at the same time I can't seem to get anything done. So I decided to learn a new skill! 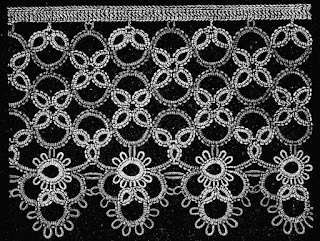 And what could be more fitting than the most popular handcraft amongst Victorian ladies, tatting! 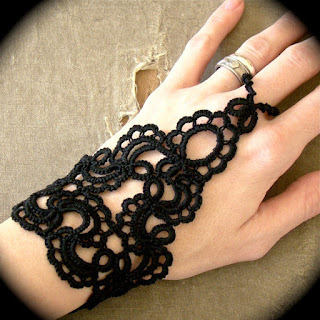 I have always loved the look of tatting, but never even heard of anyone doing it around where I live. And when I tried to get the tools for it, it became evident that this is NOT a popular pastime for 21st century Norwegian women.... Who knew? 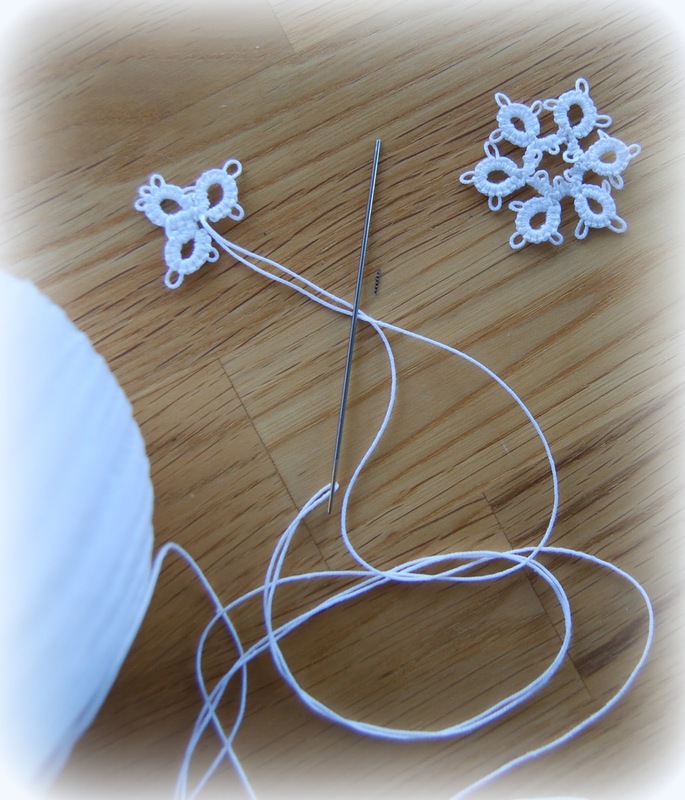 Tatting uses special holders for the thread, called shuttles, or long blunt needles. Shuttles are for more elaborate work, so I am saving that for when I have more grip of the process (pun intended). As I couldn't find the right needles I bougth some long tapestry needles, and had Mr. P grind off the points for me. Bless him :) It will have to do for now. 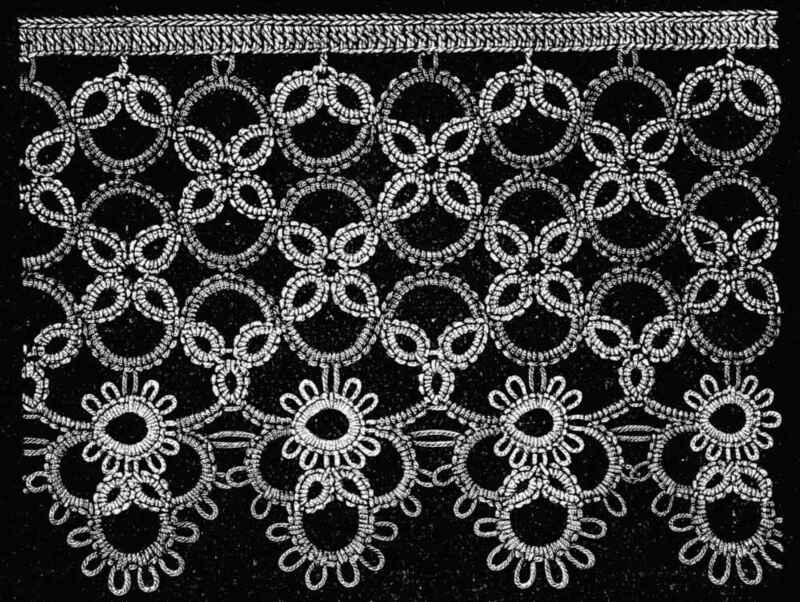 The technique for tatting is basically to make knots and loops of thread, which together form a lace-like structure. When needle tatting, you form a sequence of knots on the needle, and then slide them off onto the thread that's in said needle. For this you want a needle that has an eye not thicker than the needle itself, and those are hard to find over here. They are also very long, about 5-7 inches. If you use shuttles, this is not a problem, but it uses different hand positioning and is said to be trickier to learn, and master. 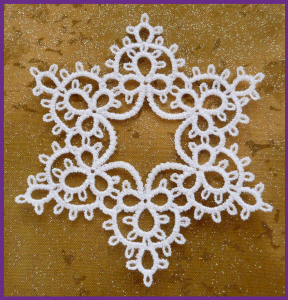 After deciding to dive into tatting, I was surprised to see just how versatile this technique is There is obviously the classic doily, and numerous border designs. But also tatted jewelry and even Christmas ornaments, bookmarks, collars and belts. This little border is destined for a special project, soon to be finished. It is turning out rather lovely, can't wait to share it with you all! I also tried my hand on a little snowflake, still in progress! 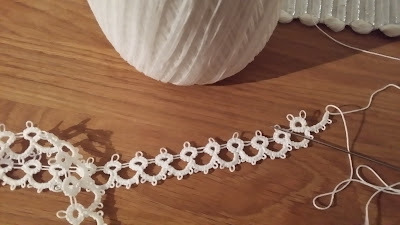 Have you ever tried tatting? Or do you have another favorite technique? I've never tried tatting, but I have heard of it. It looks lovely, and I was thinking that it would great sewn onto a garment for decoration. The fabric would probably have to be a bit heavy (like wool), but it would look lovely on cuffs or a hem. Yes, I have thought the same thing! I bet it would be lovely as an inlay in a sheer blouse or something:) The possibilities are endless! How lovely. My grandmother taught me to tat when I was about 9 years old. We sat out on her back porch, I tied knots, cried. She patiently told me to pick out the knots and try again. Sweet memories. So happy that you are enjoying the art. Well, thank you! I love the look of bobbin lace, it looks so difficult with all those bobbins! I once found a big heap of those bobbins at a thriftstore, but didn't buy them because I didn't know what they were.... You are right , they are very cute :) I think tatting came about in part as an "imitation" of bobbin lace. The construction is much simpler. I really enjoy it! I've heard of tatting, but never tried it. I fear my hands would just cramp up and quit on me. The end result is gorgeous! I love that black hand wrap project. good luck with your new pastime!